THE SWARM—-let’s say you’re eight or nine years old, and you’ve heard there’s a movie about those anti-social bees migrating north from the Amazon. Dad has a soul, Mom has a brain and somehow they’ve shielded you from pysche-warping slop like Hostel and minions. Maybe the sight of clouds of pissed-off bugs decimating Texas will fill the void, just as kids of the 50s thought the giant grasshoppers who lowered Chicago’s property values in Beginning Of The End looked cool. Kids grow up. You’re past third-grade, and happen to be caught by The Swarm. If you’re allergic to bees when you tune in, you might be allergic to movies by the time you tune out (or nod off). 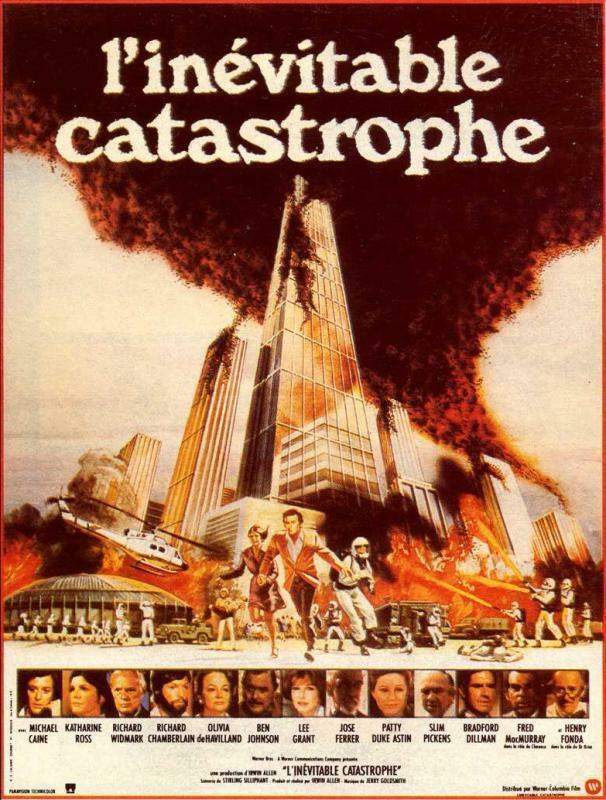 Irwin Allen uncorked this in 1978, part of his divine mission to rack up more terrible all-star catastrophes than any film-maker who ever buzzed Bel-Air: this might be his disasterpiece. Realizing that big brown gobs of savage stingers had limited dramatic range, he throws in crashing helicopters, derailing trains, a nuclear explosion and finally decides to set fire to Houston. All are so hopelessly phony they elevate Godzilla flicks to documentary status. 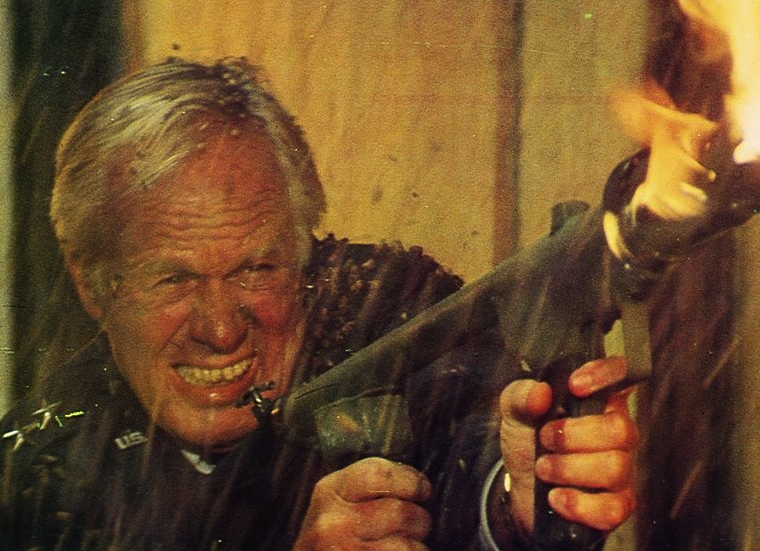 It must be noted that millions of bees (the friendly American kind) were used in this production, and some crazy stuntman took hundreds of stings. Writing the script, Stirling Silliphant posed little threat to Tennessee Williams: more dumb lines are delivered with more tight-lipped sincerity than in a Presidential press conference. Photography is perfunctory,and Jerry Goldsmith’s score is probably his least notable, lackluster that’s understandable given what he had to watch in order to compose. The real anaphylactic shock in this $21,000,000 bumble is the cast. What in hell were they thinking? Was it vanity or just plain greenback that led a troupe of class-A pros into this nest? Michael Caine was in his drive-self-into-ground mode. Richard Widmark and Henry Fonda may have pitched in out of a campy sense of humor, and perhaps that was true of Jose Ferrer and Richard Chamberlain, but the barely concealed embarrassment on their faces hints at the money angle. Olivia de Havilland, Fred MacMurray and Ben Johnson are so painful you may need to reach for Rolaids. Best mop-up of this movie came in the book “The 50 Worst Films Of All Time” by Randy Dreyfuss and Michael Medved. Other stars on view: Katherine Ross, Lee Grant, Slim Pickens, Bradford Dillmann, Patty Duke, Cameron Mitchell and Alejandro Rey. 116 minutes in theaters, expanded to a criminal 156 for DVD. Oscar nominee for Costume Design. It flopped.